WZMP had parted ways with two of its jocks at the end of 2016, morning host Jason Cage and afternoon jock Mike Adam; two other jocks, Bex (Rebekah Maroun) and Michael Bennett, will be back on the air with the new AC format after its jockless launch. The new WKAF is being programmed by Chris Malone, who moves to Boston from Memphis’ Cumulus cluster; its consultants include Elroy Smith, whose Boston roots go back to the market’s original urban station, WILD (1090). For now, WKAF is commercial- and talent-free, running 10,000 songs in a row while it puts a talent lineup together. *The eyes of the American TV industry are focused intently on Boston this week, and it looks like they may stay locked there all year as the fight between NBC and Sunbeam Television’s Ed Ansin keeps heating up. 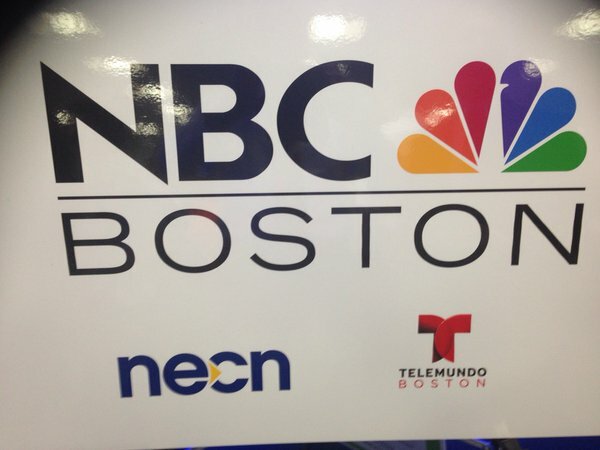 After months of rumors and hints, the feud broke into mainstream attention on Thursday when NBC publicly announced (and we reported in a NERW Extra) that it’s planning to pull its affiliation from Ansin’s WHDH-TV (Channel 7) at the end of 2016. But the plan for a new “NBC Boston” based out of Comcast-owned New England Cable News in Newton and broadcast over Comcast-owned Telemundo signal WNEU (Channel 60) from New Hampshire is full of questions, short on answers and all twisted up in the bigger uncertainty of the TV spectrum auction and repack that will be another of the huge stories of 2016. *In eastern MASSACHUSETTS, about the only thing at Greater Media’s WBQT (Hot 96.9) that isn’t “Jam’n 94.5” now is the name and frequency. The latest addition to Team Hot from Team Jam’n is Ramiro Torres, who exited iHeart and WJMN last July after Jam’n replaced him on mornings with Frankie Vinci. After waiting out the end of his contract there, Ramiro has rejoined former morning partner Pebbles (along with Melissa nd ex-Patriots star Jermaine Wiggins) as the new morning host on Hot, which also reunites him with his former WJMN PD, Cadillac Jack McCartney. At iHeart’s Rochester cluster, talk/rock WAIO (95.1) has quietly launched a midday show between its tentpole shows, Brother Wease in the morning and Kimberly & Beck in the afternoon. Bill Moran (who does mornings on sister station WDVI 100.5) and sports director John DiTullio are pairing up for “Di Tullio and Moran” from noon until 2; down the hall at Fox Sports outlet WHTK (1280), DiTullio’s local show has been replaced by a new local afternoon show with Dan Moriarty. Up the street at Entercom, a big promotion for Bob Barnett: the veteran operations manager at the Rochester cluster is now a vice president of programming, a well-deserved honor for a man who’s been part of the family there since the earliest days of WBEE-FM (92.5). *The FM landscape in NEW YORK City promises to be an interesting place in 2012. As the new year began, we already knew that financial woes at Inner City Broadcasting could lead to WBLS (107.5) going up for sale – but it now appears that WBLS may not be the only big New York FM signal to hit the auction block in the next few months. 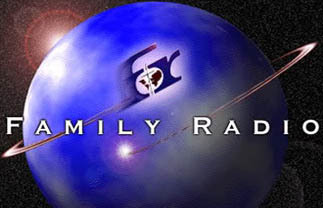 It turns out that the first two big Family FM signals to be sold – WFSI (107.9 Annapolis MD) to CBS, for $8.5 million, followed by WKDN (106.9 Camden NJ) to Merlin Media, for $22.5 million – may not have brought in enough cash to pay Family’s bills. Now it’s WFME (94.7 Newark NJ) that appears to be getting readied for a sale. Last week, Family asked the FCC to change the station’s status from noncommercial to commercial, the same procedure that preceded the sales of WFSI and WKDN last year. *In Syracuse, Cumulus started the new year with a talk-to-rock format flip: WXTL (105.9) went to a TV-themes stunt after the Bob & Tom morning show on Friday morning, followed at 1:05 PM with the launch of “The Rebel,” a new classic rocker. “We’re giving central New York a new and different choice for rock, with deeper album cuts and true variety,” said operations manager Tom Mitchell. Aside from Bob & Tom, whose syndicated morning show continues, there’s no airstaff yet at the station, which is being programmed by WAQX (95.7) PD Hunter Scott – but there’s almost nobody in the market who’s failed to notice that the launch of the Rebel came just days after veteran WTKW (99.5) jock Dave Frisina got his walking papers from Galaxy Communications. *As noted on our mid-week update, there’s plenty of disruption elsewhere on the upstate airwaves: not only are the Buffalo Bills moving to a new radio home – Entercom’s WGR (550) – this fall, there’s a schedule change at their former flagship. Yup, it’s Cumulus again: at the former Citadel Buffalo cluster, Shredd and Ragan are returning to morning drive on WEDG (103.3 the Edge) today after more than five years in afternoons. The popular duo were displaced to make room for Opie and Anthony in the mornings, but they stayed in afternoons long after O&A decamped for satellite radio. Their return to mornings shifts Rich “The Bull” Gaenzler back to afternoons. *And there are just two big stories to report from CANADA this week: in Halifax, Evanov’s CKHZ (103.5) segued from mainstream top 40 (“Z 103”) to rhythmic top-40 as “Energy 103.5,” making the flip at 1:03 PM last Friday (January 6). Meanwhile on the Niagara Peninsula, Haliburton Broadcasting installed new callsigns on its newly-purchased FM signals on New Year’s Day: “Ed 105.1” flipped from CFLZ-FM to CJED-FM, while “Z101” dropped the CKEY calls (which had decades of heritage across the lake in Toronto) to become CFLZ-FM. With a full complement of station staff, local media, area engineers, itinerant tower photographers and TV news helicopters on hand, the second try at the demolition of the WOR (710) towers in Lyndhurst, NEW JERSEY came off without a hitch Thursday morning.Tripods already lined the driveway of WOR’s new tower site a half-mile away in East Rutherford when we pulled up to add ours to the crowd an hour or so before the scheduled 11:01 demolition. Just like the first attempt last September, the weather was flawless (if a bit chillier) – clear blue skies and a dynamite view across the river to the Manhattan skyline. But unlike that try, which was halted by local police after the proper permits hadn’t been obtained, this one went right on schedule. In fact, as WOR began its live remote broadcast of the event, the top of the first of the towers (tower 3, the closest to the old transmitter building) had already quietly begun to pitch over before many in the crowd even noticed that the demolition was underway. As the tower crews cut the top level of guys to towers 2 and 3 simultaneously, it took a little over 20 seconds for the two big pieces of steel to fold in on themselves and hit the ground. Tower 3 was first to fall, crumpling about a third of the way up, then landing the bottom of the tower in a sort of arch that would later fall (and which we’d later climb through to survey the wreckage), followed quickly by the twisting demise of tower 2, the southernmost in the array. After a few minutes’ delay as the tower crew emerged from hiding and moved its saws to tower 1, the easternmost in the array, the cameras again began clicking as the final tower began tipping, bent in half, implanted its top section in the ground to form an inverted “U,” then disappeared from sight to cheers from the crowd and enormous sighs of relief from WOR chief engineer Tom Ray and the station’s management. Despite fears that the sight of the towers’ collapse might cause panic among drivers on the adjacent New Jersey Turnpike, subsequent viewings of the aerial footage (in HD, no less, on WNBC Channel 4) showed that the Jersey drivers didn’t even slow down when the towers began falling. Within half an hour of the demolition, the old WOR site was already full of curious engineers, including several who’d been there when WOR built the Lyndhurst towers in 1967, picking their way through the wreckage (less twisted than we’d expected) to salvage bits of shattered base insulators as souvenirs and examining the cleaned-out shell of the transmitter building that carried the voices of Jean Shepherd, several generations of John Gamblings, and so many other legendary WOR talents for so many decades. *Speaking of NEW YORK radio history (as Jean Shepherd might have said, segueing into a WOR station ID), the WNEW call letters packed up and flew south last week, after 73 years on the air in New York. The former WNEW (102.7) is now WWFS, for “Fresh FM,” and the WNEW calls now live on the CBS Radio signal at 106.3 in Jupiter, Florida (near West Palm Beach) that was WJBW-FM. There’s no attempt there to trade on the legacy of the WNEW calls – just a parking maneuver to make sure nobody else in New York tries to use them. Univision split its New York FM simulcast Friday, keeping “La Kalle” and its reggaeton/hurban format on WCAA (105.9 Newark NJ) and flipping WZAA (92.7 Garden City) to regional Mexican as “Que Buena,” with Los Angeles-based morning host Eddie “Piolin” Sotelo. So much for oldies on FM in Erie: Connoisseur flipped WFGO (94.7) from “Froggy” to adult hits “Bob FM” last week, sending the “Froggy” oldies down to WFNN (1330), where they replace sports talk. Some of WFNN’s sports play-by-play moves to WJET (1400), which remains mostly talk. Look for the calls on the FM to change to WXBB, while the WFGO calls move to 1330. Quick – what’s the most powerful AM station in MAINE? The answer to that seemingly simple question has changed in just the last few weeks, thanks to a big facility upgrade at a little station in Rumford, up north of Portland. The 1000-watt daytimer on 790 (later adding 21 watts at night) spent most of its quiet life as WRUM, changing calls a few years ago to WLLB when it was purchased by J.J. Jeffrey. Late last year, Jeffrey sold WLLB to Richard Gleason’s Mountain Valley Broadcasting, which moved some calls around, giving Rumford the WTME calls from 1240 in Lewiston, which became WCNM. But Jeffrey did something else while he owned 790: he filed an application to move the station down the dial to 780 and boost power to 10 kilowatts daytime, still non-directional. And that’s just what WTME did on Christmas Eve, surprising DXers, and half of Portland, with a signal that’s now tied for the most powerful in the Pine Tree State, at least by day. (Only Skowhegan’s WSKW and Gorham’s WMTW were already using 10 kW daytime, and WMTW is directional.) WTME still drops down to flea-power (18 watts) at night, which is problematic this time of year, when the sun’s down before 5 PM, but during the day, it’s now being heard as far away as Boston (and by DXers as far as Ontario!) with religion and talk programming, simulcast with WCNM (1240 Lewiston) and WKTQ (1450 South Paris). Over in NEW HAMPSHIRE, we can tell you what the call change at WBNC-FM in Conway accomplished: the station now known as WVMJ (104.5) is running an AC format as “Magic,” and we hear it’s being simulcast on the former WBNC (1050), now WXMT. Things are finally starting to shake out over at Boston’s talk signal, WRKO (680). After two days of dancing around the subject (presumably accompanied by frantic backstage negotiations), veteran talker Jerry Williams has agreed to stay with WRKO doing a weekend shift, 1 to 4 pm Saturdays and Sundays, starting this Saturday, January 11. Williams endeared himself to NERW forever by spending much of Wednesday’s and Thursday’s shows lambasting Boston Globe radio critic Susan Bickelhaupt for the Globe’s sketchy coverage of the situation. Bickelhaupt and Williams have locked swords before, and with very little to lose, Williams let loose on the air, criticizing Bickelhaupt for failing to call him for information, and knocking her for the bland way in which the Globe ‘s one-paragraph story was written. Also heard on Thursday’s show were many of Williams’ former producers, going back to his start at WRKO back in 1981.Still very much up in the air is the future of WRKO’s morning slot. The feud between co-host Marjorie Clapprood and the station appears to be very real, and it’s now been more than a week since Clapprood walked off. Saturday morning host Mo Lauzier filled in on Thursday, relieving Jeff Katz, who’s getting ready to start in the 10 pm – 2 am slot next week. Katz was uneven at best during his morning debut, spending the first segment of Wednesday’s show in a pointless discussion with other station staffers about who lost the keys to the station van, and later fielding some pretty nasty calls from the listeners. Meantime, Clapprood is reportedly deep in discussions with her lawyers about what to do next, and her co-host Pat Whitley is simply off the air in the meantime. Notes from all over: The lone AM station in Saratoga Springs NY has returned to local programming, after several years of simulcasting oldies WCKM-FM (98.5 Lake George NY). WKAJ (900) is back to its original calls (from WBGG and then WCKM), and has been heard with big band programming.